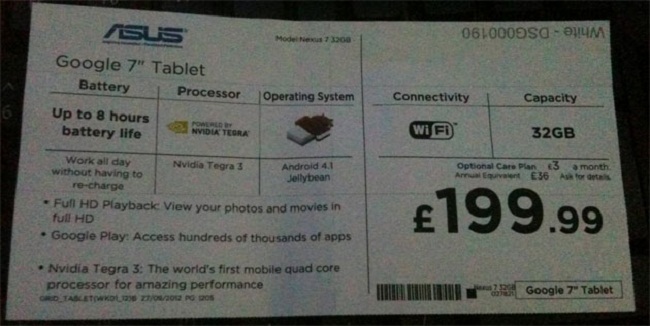 According to the above image leaked from a UK retailer, it looks like the 32GB Nexus 7 will indeed retail for the same price as the 16GB variant, at least in this case. Previously, it was still in speculation that the 32GB would straight up replace the 16GB model, but this definitely adds some credibility to the claims. And to those 16GB buyers that feel cheated, who knows, maybe Google will find a way to make it up to you.